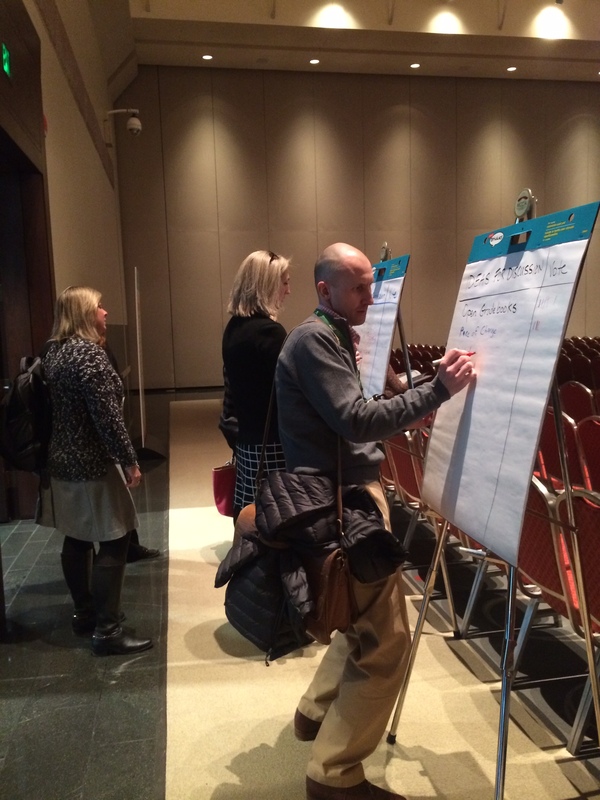 We built it, but not many came… How do we reinvigorate Teachers Unplugged? 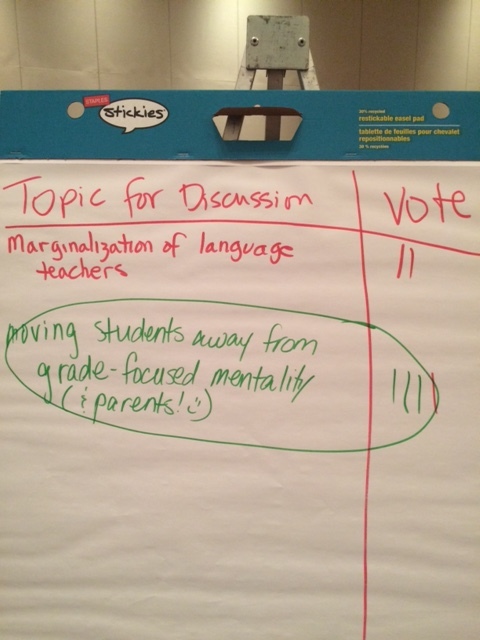 I think this has to do with the fact that the sessions are interactive and participatory. 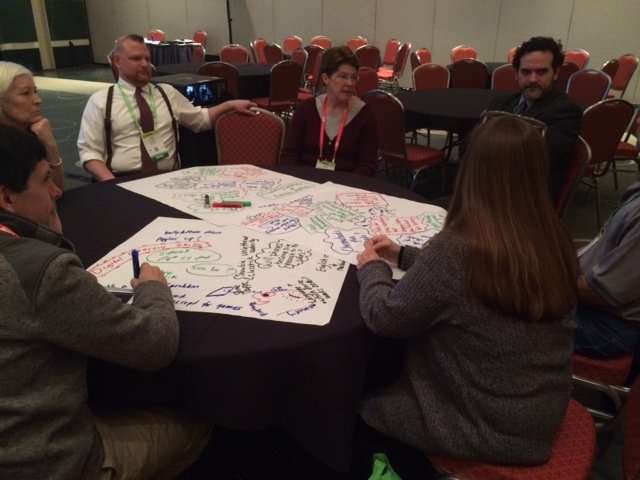 The fact that NAISAC brings together independent school folks from all over the country who are grappling with the same questions, makes the unplugged session a unique opportunity to hear and learn from the other attendees at the conference (not just the experts). We even “sketchnoted” during the discussions – putting into direct practice the Doodling message we had heard from Sunni Brown’s talk the day before. This year we had about 30 people attend the Teachers Unplugged session (about 50 people attended the Administrators Unplugged session the day before). Not only is this a valuable experience for the participants, but you can easily bring this back to your own faculty as an approach to Professional Development. My question is why so few? And how do we get more people to attend? I think part of the problem is our title – people don’t “get” what an unplugged session is until they get to it. It is a hard concept to explain. How can we rebrand this session to better communicate its value and its benefits? I really don’t want this session to die. NAIS has generously given us large rooms with big tables. I fear if we can’t get the numbers, NAIS won’t be able to justify the space they give us. Please help! 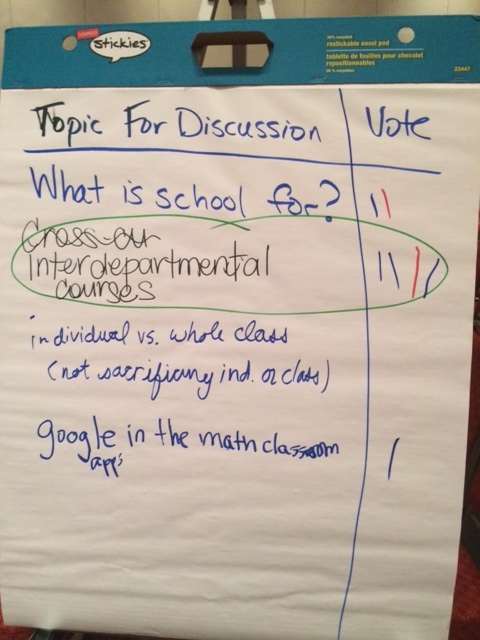 What can we do to help reinvigorate the interest in this session? Do you have an idea for a new session title? Something that would attract more people to give it a chance? I welcome your suggestions!! I attended a great session today titled: Engendering Leadership: How Independent Schools Support Successful Female Leaders. Thank you to Lindsay Koss, Pearl Kane, Lucy Goldstein, Meera Ratnesar, Frances Fondren, Karen Whitaker and Katie Arjona for all of your sage advice! 2. If your passions don’t align with your institution you have to listen to that and move to a place that fits. 3. You need to know the stereotypes that are attached to you (whatever they may be) – use them for your benefit or debunk them. 4. Be frank and clear in your communication even at the risk of not being perceived as nice. 5. Develop a capacity for solitude – as you move up you have a smaller peer group, develop your capacity to solve things alone or with a smaller group of people. 6. Retain your spirit of joy – It can be a joyful position. Need resiliency. Important you know how to bounce back and find the place of joy again. 8. Rent feedback before you own it – look at the reason for the feedback and who is giving it – before you own it. 29. Guidestar – Find out what salaries are and ask for money. 31. Look in the mirror and say no to yourself 10 times – the mirror doesn’t break. Don’t back down.